6mm Manifold or Push Fit. An extremely small jet featuring a chrome push on cap and all metal body. Fits through a 6mm hole and can accept 3/4mm internal diameter hose. 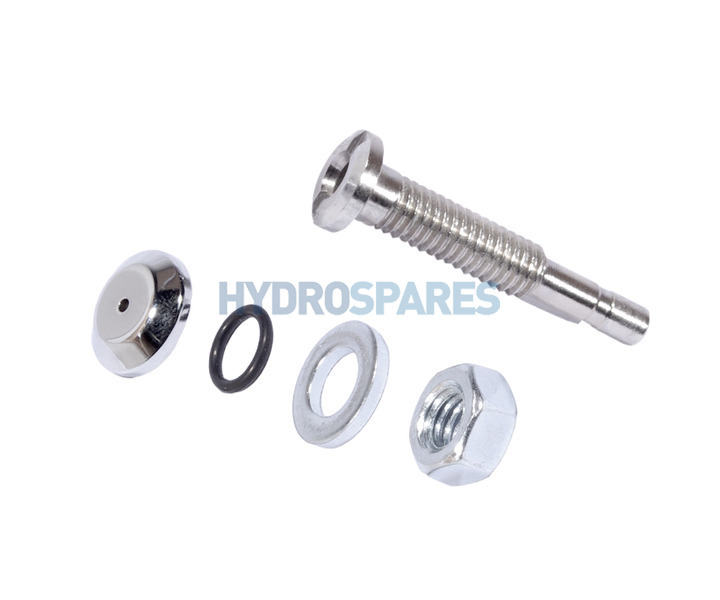 Secured to but with a washer and nut, while a small o-ring sits under the head on the bath side.